Thank you for placing your order. 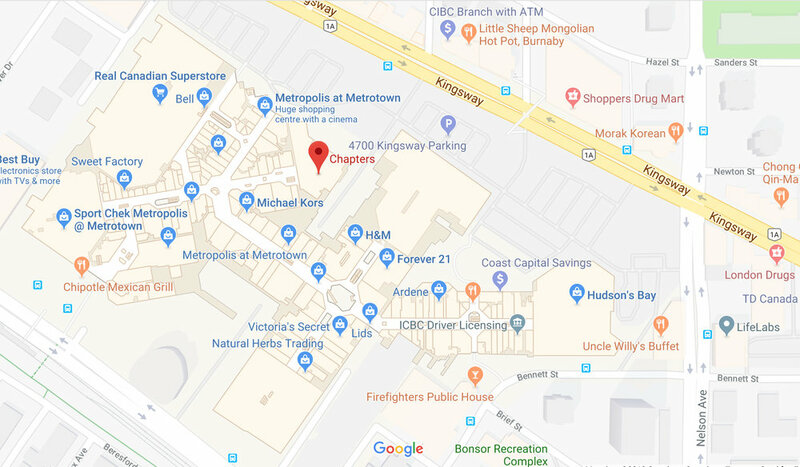 Your order will be available for purchase and for pick-up on May 12 10AM - 9PM, and on May 13 11AM - 7PM at Chapters at Metrotown location. Please see map for a location of the Chapters store. It's closest to the Kingsway exit. Please bring a copy of your order confirmation, either printed or on your phone, or an ID for us to identify your order. Note: We are not liable for orders not picked up at Chapters in Metrotown during May 12-May 13.